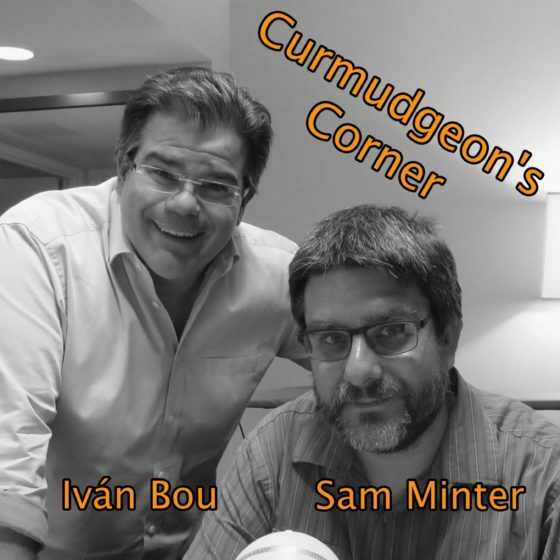 On this week’s Curmudgeon’s Corner, Sam and Ivan discuss the Shutdown/Wall and Trump/Russia. Again. Then they squeeze in some international topics. Before that though, Ivan complains about the severe bone chilling 49 degree Fahrenheit cold spell in Southern Florida. This week on Curmudgeon’s Corner, Sam and Ivan once again discuss the Shutdown/Wall and Trump/Russia. Before that though, a bit on the fast food feast at the White House, another movie Sam watched, and a story of a broken iPad. No deal in sight, how does this end? On this week’s Curmudgeon’s Corner podcast, the two big topics are Trump’s pardons and the Economy. Specifically Sam and Ivan talk about the grand plan, or lack thereof, surrounding the pardons and what messages that sends. On the economy, the questions are how much credit Trump should get for good unemployment numbers, does it matter that he tweeted about those results before they came out, and what’s up with the big trade war that seems to be getting started? Along the way, they also cover a health issue in Sam’s family, the Puerto Rican death toll, a little on the Trump/Cohen investigations, and the general trend toward US isolation. Where is the Economic Collapse? Should Trump get credit for good numbers? On this week’s Curmudgeon’s Corner, Sam and Ivan do a Republican National Convention mega show, talking about each night of the convention in detail. But a lot of other things happened this week, so before even starting on the convention they cover Nice and Munich and Syria and Baton Rouge and Miami and Turkey and Roger Ailes and the VP announcements and more. It was a very very busy news week. To top it off, Sam also interviews an actual attendee at the convention. It is a big show. Over three and a half hours this time. Our longest ever. Enjoy!